During the World War II era, Captain America made a lot of sense. In a time of clear delineations between good and evil, he was the symbol of everything that was right about America, and he could rally the spirits of those around him, pushing them to do things they never thought they could. But it’s a different world now, with different values and much murkier moral lines. It’s the age of darker heroes, men who compromise their ethics and fight evil with evil to get desperately needed results. There is, to be certain, a place for those characters, but what about someone like Captain America? Is he merely an anachronism, irrelevant in the modern era and better left to the past? It’s an important question, and one the Marvel Cinematic Universe has tackled vigorously in both The Avengers and Captain America: The Winter Soldier. These films find Steve Rogers adrift in a world he no longer understands and trying to find his place in it. The conclusion they reach is that, in a dark, uncertain world with black and white constantly melding into gray, where America’s hands are dirty and the best-intentioned men do wrong because they see no other way, we need Captain America more than ever. 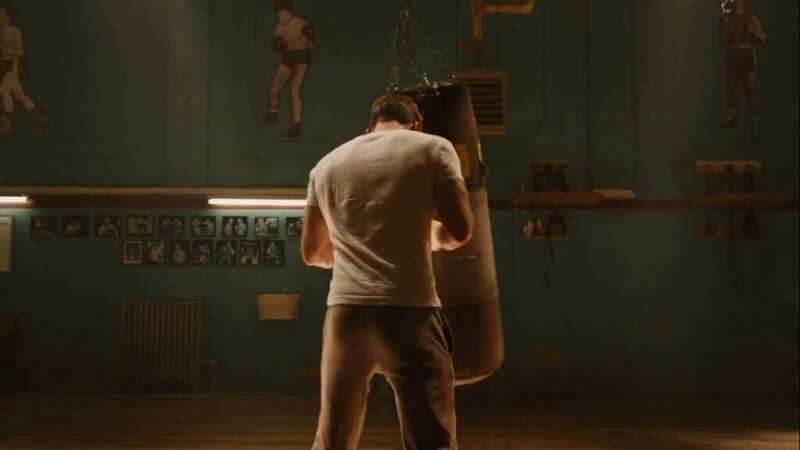 When we first see Captain America in The Avengers, he’s beating on a punching bag, clearly troubled, as he recalls his experiences in World War II, of the freedom for which he fought and the evil he conquered to do it. Cap lost a lot in his struggle, including his best friend and the love of his life, the latter by choice; he sacrificed what was most dear to him to make the world a safer place. When he awoke, he was shown a world far different from the one he thought he was leaving to future generations. The history with which he’s catching up is filled with moral failings and misapplications of power, and he wonders if all his sacrifices were worth making. (“I went under, the world was at war. I wake up, they say we won; they didn’t say what we lost.”) Throughout the film, as well as in The Winter Soldier, he sees that the War changed nothing, that things are, in some ways, worse. The Tesseract is still being sought by a would-be world conqueror, only this time Cap’s own people want to use it to make destructive weapons for themselves; his friend Howard Stark’s legacy is a selfish, immature jerk of a son; his allies are assassins and spies who lie as a matter of course; the people who give him his orders have secret agendas that are antithetical to the freedom he gave everything to defend in his own time; and, perhaps worst of all, the good guys are, in fact, being run by a secret group of Nazi loyalists who want to plunge the world into the same fascistic nightmare as the one he lost everything to prevent, and they trade on people’s fears to do it (as Dr. Erskine told him, “So many people forget that the first country the Nazis invaded was their own”). What can a mere soldier – even a super soldier like Cap – do against all that? Sure, he can beat the bad guys into submission, but what good does that do when the true evil is what has penetrated the values of a nation and a world at large? The hope lies not in Captain America’s superpowers, but in Steve Rogers, the man who wields them with honor and dignity. Captain America’s true power is his symbolism, and that is only possible because, all those years ago, Dr. Erskine saw the beating heart of a sickly kid from Brooklyn, a guy whose physical weakness belied a spirit of courage and justice, who didn’t want to hurt but protect, someone who was “not a perfect soldier, but a good man.” And it’s that good man who makes Captain America a symbol. When the U.S. government turned Cap into a mascot that sold war bonds, the soldiers mocked him because that kind of symbol is empty and they knew it. It was when he put himself in danger to rescue that captured regiment that the soldiers – defeated, scared, ready to give up – began to believe in him, and they cheered when Bucky yelled, “Let’s hear it for Captain America!” He reminded them of the reasons why they were fighting and gave them the strength to persevere, to be the best men they could be and embody the attributes that define the best of America. Now that he’s been reborn to a much darker world, he’s being given the chance to do that again, and it’s as this symbol that he inspires the best in all those around him. When Tony Stark is ready to pack up and go home (“We are not soldiers!”), Cap pushes him to fight on, to do what’s right not because corrupt SHIELD wants him to do it but because there’s a hero in him waiting to break free. He may not have been “the guy to make the sacrifice play” early on, but through Steve Rogers he becomes that man. Bruce Banner is ill at ease when he arrives on the SHIELD helicarrier, sensing that those around him don’t trust him, and when he asks Steve if “the only word” on him is his ability to help, Cap says, “The only word I care about.” He accepts the man without fear of the monster, but unlike SHIELD he doesn’t shy away from the monster either; when Bruce is being influenced by Loki, everyone – even the God of Thunder – gets their back up, but it’s Cap who steps forward and says, “Dr. Banner, put down the scepter.” And when the final battle begins, he confidently tells Bruce, “Now might be a really good time for you to get angry.” Tony may be the biggest Hulk supporter (which Hulk acknowledges when he recues him at the end), but Steve understands how complex an issue Hulk can be; he accepts the realities, the strengths and weaknesses of the Hulk and he still believes in him, and that’s why Banner has the confidence to fight with the Avengers. When Thor lands on Earth and takes Loki away, Natasha tells Steve to “sit this one out,” because he’s totally outmatched, but he jumps into the fray anyway, despite the likelihood that he will die. Natasha, at this point, would never do that; she’s, as Hawkeye tells her, “a spy, not a soldier,” and only fights when she’s sure she’ll win (which is why facing Banner freaks her out so much), but Cap will do what’s right even in the face of certain death. He shows her a better way to wipe the red from her ledger. Hawkeye fears he’ll be blamed for his actions while he was brainwashed by Loki, and Natasha’s assurances roll off him as merely the encouragement of a friend, but when Captain America trusts him, it lets him know that he can overcome his fears and do good regardless of his past. Thor comes to Midgard not to fight with us but for us, and his pride gets the better of him when he trades blows with Tony, but through Thor’s arrogance Cap keeps a level head, challenging Thor to be better than his power and fight with the mortals. Thor is stronger physically, but Steve is the better leader. Then there’s Coulson. Coulson believes in Captain America, even when Cap doubts himself. (“Aren’t the Stars and Stripes a little old fashioned?”) Throughout Phase One of the Marvel Cinematic Universe, Coulson has been a cold, detached company man, unimpressed with all the super-powered being who’ve come his way, but Captain America makes him weak in the knees. Why is this? In physical terms, Cap can’t hold a candle to Hulk or Thor or even a suited-up Iron Man. It’s what Cap represents, that symbol that Steve Rogers embodies so well, that inspires Coulson. That’s what gives him the strength to stand up to Loki; being face to face with his greatest hero brings the hero out in him and he lays down his life, even though it makes little difference in the long run, because his heart forces him to take a stand. When he tells Loki the evil god will lose because he “lack[s] conviction,” he’s comparing his murderer to Cap, whose always had very strong conviction, a conviction he knows Cap will spread to the others because he did it for Coulson. Even someone as jaded as Agent Phil Coulson of SHIELD can be stirred to heroism by Captain America. 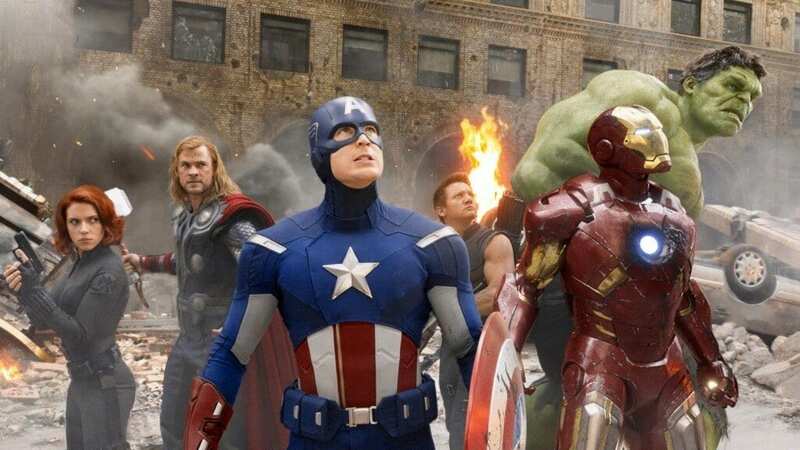 In The Avengers, all this culminates in the team not only forming, but accepting Captain America as their leader. They each have every reason to doubt their usefulness, their heroism, but Steve Rogers’ example, embodied in Coulson’s sacrifice, is what galvanizes them and pushes them to action. One by one, he’s won them over, and their belief in him is encapsulated by Tony Stark, his biggest detractor, urging him to “Call it, Captain.” Nick Fury may have come up with the concept of a team of superheroes, but it’s Captain America who truly assembles the Avengers. And this is how Steve finds his place in the world once again: by realizing what he means to others and what he can bring out in them. He believes in the Avengers, but not in the way SHIELD does; he believes in a group of flawed, damaged people coming together to help others. He forms the Avengers by bucking the corrupt system and getting them to fight the invading army on their own, concerned only with protecting the innocent and saving the world. When the Battle of New York is over, he echoes his earlier sentiment by saying, satisfied, “We won.” This time, he’ll be around to make sure we don’t lose anything along with victory. The Winter Soldier puts his newfound determination to the test. He’s caught up in a plot by a new Nazi regime to conquer the world Steve thought he’d already saved from them, but he knows he can’t do it with his brawn alone. He has to change the spirit of fear and compliance the powerful have fostered, and he discards the dark uniform they’ve forced on him in favor of the Stars and Stripes, the symbol of what America should be, the one he wears proudly and embodies with honor. The speech he gives to the SHIELD agents who haven’t been consumed by Hydra reminds them why they signed on with the massive agency in the first place; in their hearts, they believe in same values as Cap, and they want to help people. Through the power of his symbolism, he gets them to rise up against the fascists and take back their country, everyone from trained warrior Agent 13 to the computer nerd who probably never touched a gun in his life. The latter is an even stronger example of how far-reaching Cap’s influence is because he doesn’t do anything as grandiose as throw a punch; he simply refuses to comply with bullies who try to make him afraid (and we know how Cap feels about them: “I don’t like bullies”). Natasha builds even further on what Steve taught her in The Avengers as he makes her realize that in signing up with SHIELD she just traded one group of shadowy criminals for another and she must throw off the chains they clamped on her wrists and come into the light if she really wants to make her past right; she must give up spying and be a hero. He even gets rid of SHIELD itself, the embodiment of what has gone wrong with society, the product of our fear transformed bit by bit into an all-powerful entity that takes away our rights (I’ll talk about this in greater detail in an upcoming piece). The perfect representation of Cap’s changing the new era, though, comes from the Winter Soldier himself. Bucky was by Steve’s side from the beginning and, like Steve, he had the ideals of America and the soul of a hero. 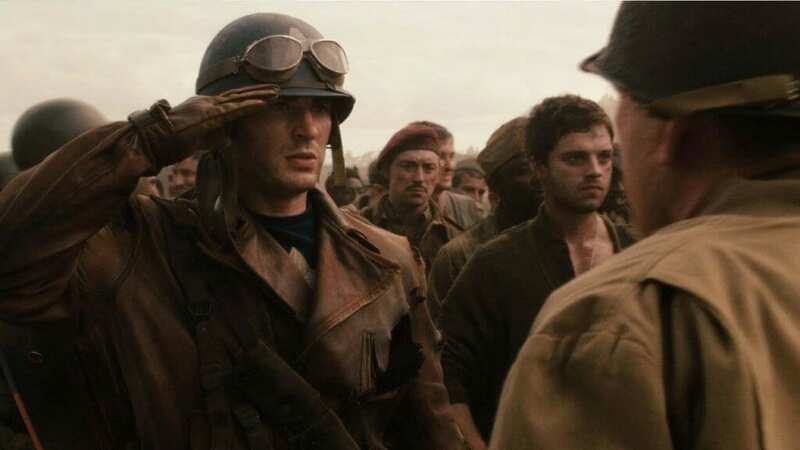 In the years since World War II, though, Bucky has been corrupted by evil people masquerading as good ones, people who warped his mind and got him to do things he never would have in the past. Steve faces Bucky, confronts him with the terrible things he’s done, but he refuses to kill him. He may want to tear down the institutions that have become too powerful, but he wants to save the nation itself, and that’s what Bucky represents: the American people. When he lets his old friend beat on him, he’s showing Bucky what he’s become, what he’s discarded in his descent into darkness, but he’s also showing Bucky that, like his friend Steve, those values will never go away. They’re there for the taking, and Bucky can be again what he once was, just like the country and just like the rest of the world. It’s never too late to make things right, to be better, and that’s what Captain America wants for us all. In a world that has moved past him, Steve Rogers refuses to adapt. He won’t compromise what he knows is right to conform to what he knows is wrong; he’ll remain that steadfast example, reminding everyone of what they can be, what they should strive to be. We all stumble, even Steve; he wavers when he first lays eyes on the corruption that has infected society, but he digs deep and finds the strength to push back against it, and he won’t rest until he gets everyone else to do the same. It isn’t the battles or the derring-do; inspiring us and making us believe that we can be better is how Captain America saves the world.